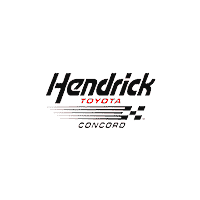 Hendrick Toyota Concord (7670 Bruton Smith Blvd) is one of Toyota’s premier franchises, having already earned the prestigious President’s Award 21 times, a yearly recognition given to the manufacturer’s top-performing dealerships. Featuring 350 new and 150 pre-owned cars on site with access to the entire Hendrickcars.com inventory of more than 30,000 new and pre-owned vehicles, Hendrick Toyota Concord is one of seven Toyota dealerships within Charlotte-based Hendrick Automotive Group’s franchise portfolio. The impressive 55,500 square-foot facility, which sits on more than 22 total acres, hosts 33 overall service bays and offers customers amenities including free Wi-Fi, coffee and snack bar, along with a courtesy shuttle service to area attractions. “We couldn’t serve our teammates, customers and the community like this without a continued focus on our team members and customers,” said Wes Watkins, Hendrick Automotive Group’s market area vice president overseeing Hendrick Auto Mall Concord. Hendrick Toyota Concord and the Hendrick Auto Mall Concord is adjacent to Hendrick Automotive Group’s sister company, 12-time Monster Energy NASCAR Cup Series champion, Hendrick Motorsports. As part of auto mall, visitors have access to the team’s facility through the Bruton Smith Boulevard entrance. Hendrick Toyota Concord is open seven days a week for sales and service.